Albany Saints and Sinners Multi Sports Club hosted its second annual Belmont Valley MTB Challenge at The Belmont Golf Club on Sunday. A number of cyclists made their way from around the Eastern Cape, while numerous Grahamstown cyclists were keen to partake in an event boasting fantastic scenery, right here on their doorstep. 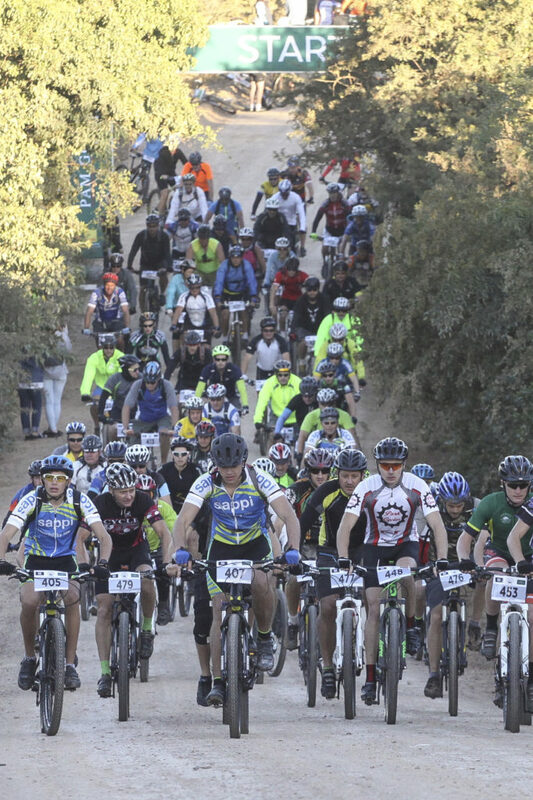 Cyclists had a choice of the 15km Adventure Ride, the 40km Challenge Trail and the 60km Endurance Race. The 40km and 60km routes took cyclists through the Manley Flats Trails, a project taken on by the Sikhululekile Community, who spent weeks before the event clearing and preparing the Manley Flats Community Trails. Liam Graham was first overall in the 60km event in 2 hours 48 minutes 27 seconds, while local cyclist, Jolandi Botha was the women’s winner in 4:09:07. The 40km winner was Raye Moolman in 2:57:19, with Andre Wille of Grahamstown finishing 5th overall among the top local cyclists in 2:27:28, while Robyn Emslie was the women’s winner in 2:40:33. Terri-Lynn Penney was the first local women home and second women overall in 2:53:17. The 15km event was dominated by locals, with Tristan Wille the overall winner in 56:01 and Shaun Craigie second male in 56:14. And Alan Robb third in 58:19. The women’s winner was Rachel Johnstone in 56:04 and Yolandi Wolmarans in second (1:18:38) and Hannelie Sweeney third in 1:20:51.